Ringlets are a type of long curl infused hairstyle. Ringlet hairstyles have been popular since the Flavian Dynasty in ancient Rome when Aristocratic women sported painstakingly created long curls. Ringlets are also known as tube, spiral or corkscrew curls. 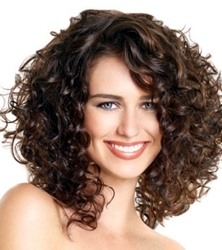 Spiral perms are designed to create ringlet curls on hair which doesn’t easily hold curls. Spiral curls may be more easily created on hair which is naturally wavy or curly. Naturally straight hair may not hold a ringlet curl as easily as hair which has a coiled structure. When hair naturally has a texture which easily curls, ringlets can be created by twisting or coiling individual sections of hair around fingers. Hair which doesn’t have natural texture can still be curled into ringlets with the correct hair staying products, rag curls and/or hot rollers or irons. 1. Clean preset detangled hair in lukewarm water with the appropriate cleanser. If you prefer, use a Diluted Shampoo (DS), Low Poo , No Poo or other alternative shampoo as desired. 2. Rinse cleanser completely from hair. Use fingers to gently squeeze excess water from hair using an accordion playing action. 3. Apply a rinse-out conditioner to hair from ears down to the ends. Concentrate conditioner on most damaged areas of the hair. 4. Detangle individual sections of hair from ends up to roots with fingers and/or a wide tooth comb. 5. Rinse conditioner completely from hair and finish with a cool/cold wash.
6. Towel blot to remove excess water. Do not rub hair or tousle hair when wet which can result in frizz. 7. Apply styling cocktail which may include, but not be limited to, leave-in conditioner, defrisant, mousse and styling cream. You can mix all of the various styling products together or apply individually. Note: If you want to add volume throughout the roots, apply a volumizing product after applying the styling cocktail. 8. Set 1-2″ individual sections of hair in rag style rollers allowing hair to air dry or dry under a hood or bonnet style dryer. If you prefer, separate hair into small sections and dry with a long finger diffuser attached to a blow dryer. Working around the head, from side to side, when each section is dry using a long finger diffuser, coil around fingers and then pin to the scalp. This allows the curls to set as they finish drying. 9. After entire head is dry and pinned or rolled make sure hair is completely dry before releasing hair from pins or rollers. 10. Once hair is completely dry and unwrapped bend over at the waist and gently shake out curls. 11. Utilize a small barrel curling iron to curl any sections which didn’t a tight ringlet curl if your goal is a perfect tube style curl. Note: Ringlets can be worn in perfect corkscrew formation or tousled and deconstructed for a softer look. 12. Use fingers to arrange curls. Pull gently to loosen if ringlets are too tight. 13. Once ringlets are formed to the desired tightness, spray with a soft hold hairspray. 14. For added sparkle slide on a crystal encrusted headband or attach a series of jewel encrusted bobby pins to the hairline. 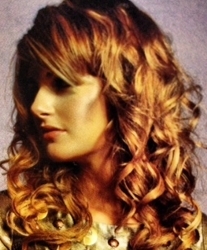 Luscious ringlets look spectacular for any special hair event ranging from a Prom to a wedding. Ringlets can hold up for more than one day if you roll the curls around your fingers and pin to the scalp before going to bed at night. Remember, ringlets never go out of hair style. 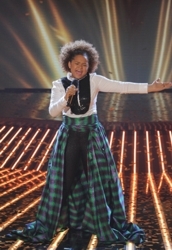 This entry was posted on Sunday, January 20th, 2013 at 11:48 pm	and is filed under Hair. You can follow any responses to this entry through the RSS 2.0 feed. Both comments and pings are currently closed.